Cheating/Counting EZ Baccarat Dragon 7 and Panda 8 Side Bets? There seems to be a rash of casino hold deficiencies on EZ baccarat tables across the US and Canada, especially in casinos in the booming oil-rich northwest part of Canada. Canadian casino executives have been seeking my advice and consulting in this area. They are hugely concerned about what is happening on their EZ baccarat tables, and their worries are concentrated around the tremendously popular Dragon 7 and Panda 8 side bets. Are casino cheats and baccarat cheats out there and up there beating the EZ baccarat games? The answer in short is definitely yes! For starters both these side bets are beatable without even getting into cheating. They can be counted down and wagerd on with a significant advantage going to the player against the house. I will talk more about this later, but now let me turn to the possibility of cheating these EZ baccarat bets. As with everything in baccarat these days, the casinos' vulnerability to cheating by offering these EZ bacc side bets is quite high. In Canada, the problem is probably the highest in the world. This is mainly because of their vast action on the EZ bacc tables. You might be surprised to know, that I have NEVER seen so much action on baccarat tables anywhere in the world that even comes close to what's happing in western Canada. The size of the bets are big enough, but the volume, and I mean VOLUME of bets on these EZ baccarat tables is both incredible and crazy. Like in the UK and the Caribbean, Canadian casinos let multipe bets from multiple players sit side by side by side by circle in the betting squares! Get what I mean? Simply that there can be as many as four bets in one baccarat betting circle or square. That's all great for the action but helps cheats pull of their EZ baccarat cheat moves as well. There is so much confusion and dealer/player fraternization that the possibility for dealer/agent(s) collusion cheating against the casinos is endless. 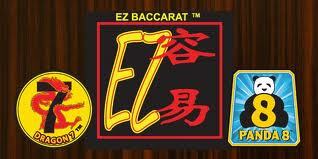 I will be addressing particular EZ baccarat cheat moves in the near future, so stick with me!